KitMonsters – Moog Animoog. The music makers’ guide to making music. 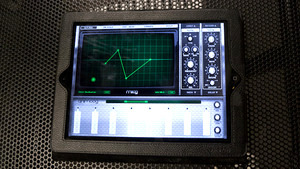 Animoog is the first professional synthesizer designed for the iPad and there’s also a version for the iPhone and iPod Touch. It’s incredibly intuitive and easy to use, and is powered by Moog’s new Anisotropic Synthesis Engine. Animoog captures the vast range and sonic vocabulary of Moog synths and lets any user quickly create fluid and dynamic sounds.